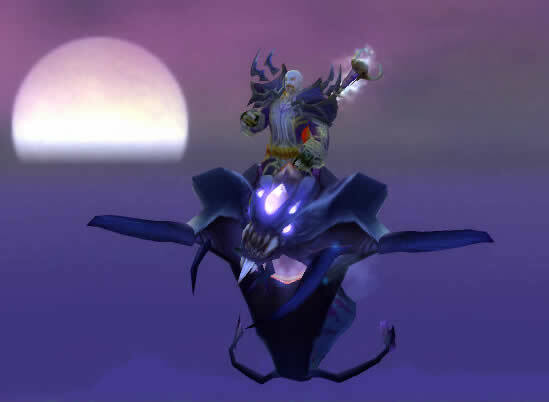 A few days ago I got the Epic flying munt from Sky Guard – the Purple Nether ray, or squiddy as I like to call them. Since I have found it makes a drastic difference in flying around, so much so the 5000 gp and Exalted rep was totally worth it. Over 3 months of casually playing, and selling almost all the Mats I have of value; and still happy. Get an epic mount; they are worth the time, frustration, and gold. In development its pretty common to see screw-ups in code. And I’m sure most people have been badly affected by a bug, or some development that is less than ideal. Normally the development compnay will gloss over the details, while rushing to fix it,a nd often they’ll use almost any language to avoid admiting they made a mistake. You’ve done very well if they’ll openly apologise. Not the folks who create the Eve online game. Their dev manager came right out as said sorry, and then proceeded to explain what happened and why. Thats worthy of praise, and I’m honnestly impressed that his language is so natural and very humble. OK, they really screwed up, but they’re recovering in exactly the right way. Have a read, its worth it. Woot – Word of the Year, woot! Its a strange day on teh Interweb when the phrase woot becomes word of the year, according to Merriam-Webster. Check the link below if you think I’m making this up. Is this a push to get linkage and advertising? Its a wonderful thing for the silly folks who use it seriously, and an ironic thing thing for those jaded folks who use it asa joke. A great article (which could easily be a fake) about a child’s World of Warcraft skills saving him and his sister from a wild moose. Not many wilderbeasts in Australia, but I think I’ll apply this to the next time a tourist asks how to survive a crocodile attack. All I can think is it a good thing he knows how to play a Warrior and Hunter, as if he was a Warlock he’d be trying to use his Sister as a pet to tank the moose, while he did DPS.